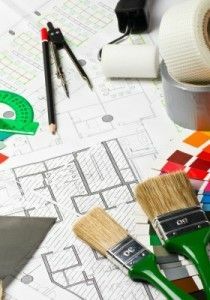 If you are planning to do some home remodeling in Phoenix, you may have many contracting companies vying for your business, but we think the choice should be easy. At Republic West Remodeling, we have earned a reputation as leaders in the local home remodeling industry. We have completed more than 15,000 successful projects since 1995. More importantly, we have many satisfied customers, many of whom have continued to enlist our services for additional projects. We know that choosing a contractor can be a big decision. If you haven’t worked with the company before, you are taking a leap of faith and trusting them to deliver what they promise, on time and within budget. To help give you peace of mind, we have developed the Dream Assurance Plan. This is a process in which we careful plan out your entire project, and then provide you with a detailed roadmap of exactly what your finished project will look like—and how we will get to that point. From design and creative elements to cost and timeline, we outline every aspect of the project, ensuring you are informed and satisfied before the work begins. We are the only company that provides this guarantee—and that’s why we feel we should be the obvious choice to handle your next remodeling project. Contact us to discuss how we can help you.